KEN YUSZKUS/Staff photo. 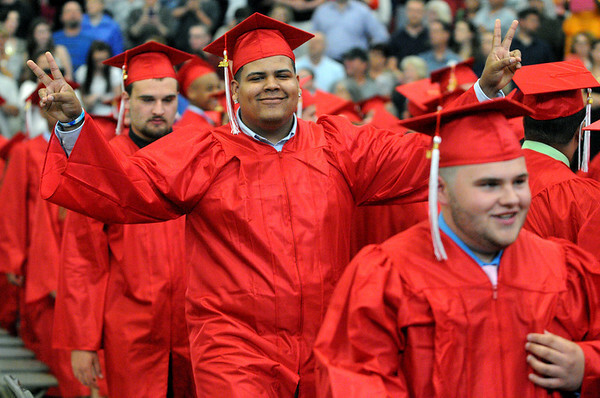 Graduate Wilton Echavarria gives victory signs while walking to his chair during the processional at the Salem High School graduation. 6/6/14.